First-timer Mosese Bulitavu is counting down the days to the new Parliament. The Vanua Levu-based lawyer arrived in Suva yesterday after a hard fought campaign in the Northern Division. He polled an impressive 6276 votes making him the fourth highest vote-getter for the Social Democratic Liberal Party (SODELPA). 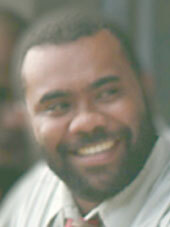 Party leader Ro Teimumu Kepa polled the most votes for SODELPA with 49,485 votes. ‘’I really want to thank all my supporters in Vanua Levu, especially in Macuata for supporting me. I am really prepared to serve them,’’ he said. – policies promoting indigenous business. “We are also extending the net to help all communities,’’ he said. Overall, the young lawyer conceded that SODELPA did not do as well as they wanted. He joins fellow lawyers Niko Nawaikula and Semesa Karavaki as SODELPA parliamentarians. They will form the opposition against the FijiFirst party led by Prime Minister Voreqe Bainimarama.